Review: Even from the title, you know that The Grace of Kings is going to be something epic. Then you pick up the hefty book and read it — and, sure enough, you’re drawn into a whole other fantasy world. The fact that it’s not another thinly veiled version of medieval Europe is a breath of fresh air. In The Grace of Kings, you follow the exploits of the bandit Kuni Garu as he gets caught up in uprisings and grand battles between factions. While the story takes a while to set the scene and get underway, once it does, it’s amazing. The scope of the tale is reminiscent of classics such as The Romance of the Three Kingdoms or Tale of Heike, while the detail and vivid characterization brings to mind everyday folk tales. If an epic gamechanging fantasy (and silkpunk! 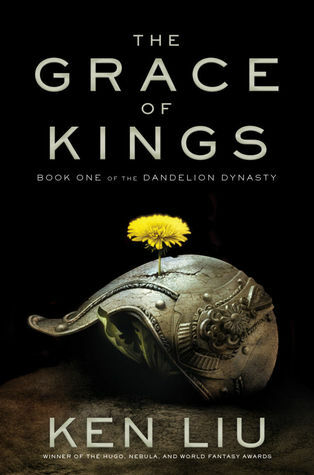 how cool is that) is at all appealing to you, definitely read The Grace of Kings. Recommendation: Buy it now! Seriously.